PREMIER trainer Emma Stewart is poised to play a strong role in tonight’s Australian Pacing Gold heats at Tabcorp Park Melton. Renowned for being an active bidder at the APG Sales, Stewart has five runners engaged in the colts’ and geldings’ qualifies. Stewart also has Fiscal Fantasy, which finished second in her heat upon debut, in the fillies’ repechage. Unbeaten freshman Centenario headlines Stewart’s crew, with the son of American Ideal expected to stretch his perfect record to four from barrier two. “He’s a very nice type and will be the stable’s leading chance,” Stewart said. “Everything he has done so far has been spot on and I can’t see any reason for that to change. Making successful debuts during the past few weeks, Hurricane Harley and Hardhitter are the two to beat in their heats. 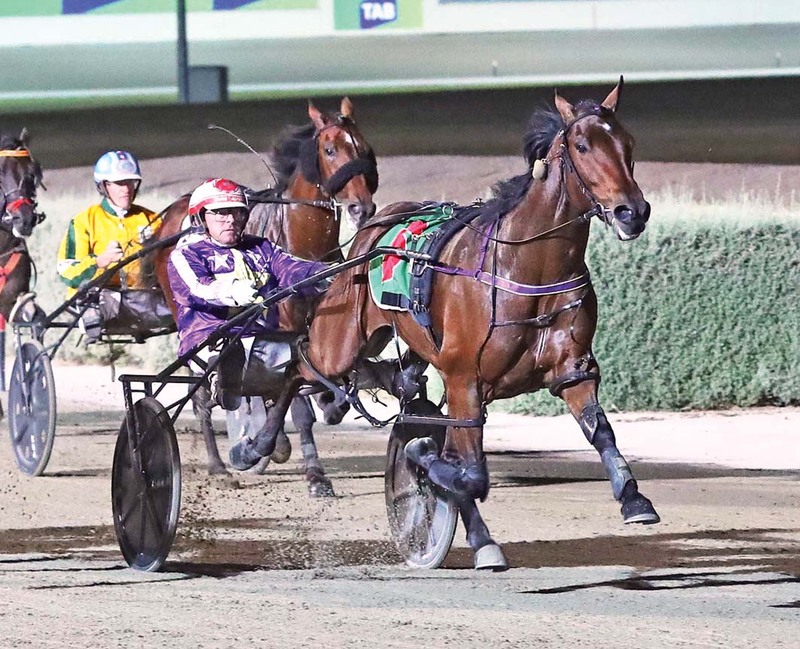 Hurricane Harley scored in 2:00 over 1690 metres at Maryborough on March 29, while Hardhitter rated 1:54.7 over the same trip at the same venue last week. Hurricane Harley will begin from three, with Hardhitter drawn five. Do what your little sister does!